Our church is in the heart of the Lloyd District in Portland, OR - one of the neighborhoods in the heart of the city. There's so many way's to get to church. 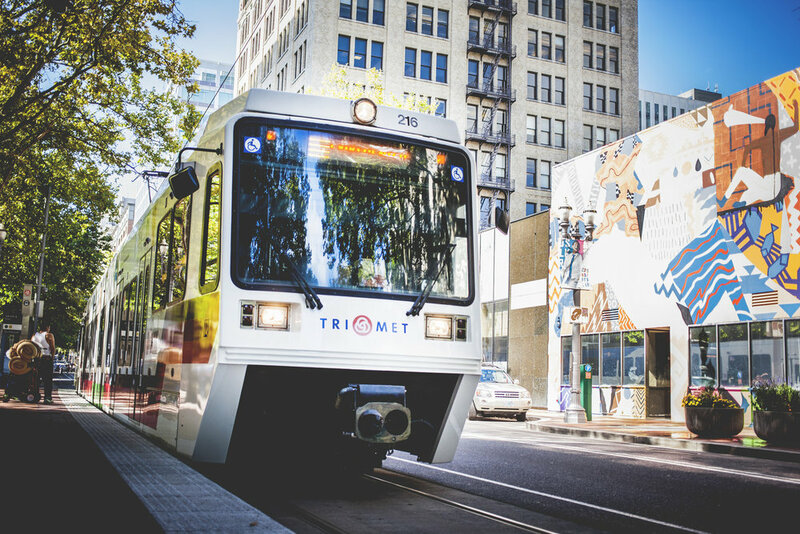 The MAX runs close by including a stop just 3 blocks away. The Portland Streetcar runs in front of the building with a stop just one block north. We also have a bike rack and are just off bike lanes on NE Multnomah, NE 7th, and NE 9th street. Sunday Parking is allowed in the lot next door to the East. We also have parking lot behind our the building for ADA access. The neighborhood includes the Lloyd District Mall that includes many of the largest retailers. We are also located close to both the Rose Quarter which hosts the Memorial Coliseum and Moda Center. The Moda Center is the home of the Portland Trailblazers and hosts many concerts, while memorial coliseum is the home of the minor league hockey team Portland Winterhawks. The Oregon Convention Center is also the host of large conventions including ROSE CITY COMIC CON.